In the first part of an in-depth review of Panasonic’s GH3, we look at the improvements over the GH2 and its practicality for video production. In just a few short years, Panasonic’s GH2 camera has earned its place as the tool of choice for thousands of low-budget film makers. The Micro Four Thirds interchangeable lens camera – it is not a true digital SLR, as it has no optical viewfinder or mirror – has been used for everything from foreign reports for Sky and Al Jazeera to indie films. 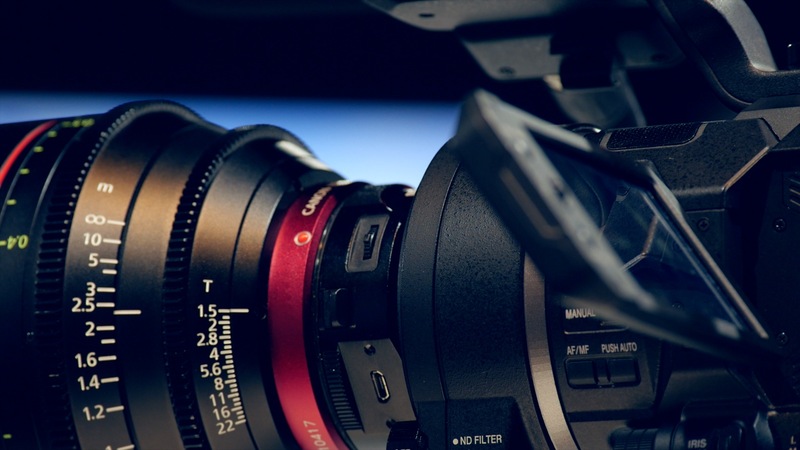 It has even been rated, in the Zacuto shoot out, ahead of cameras such as the Red and Arri Alexa by film makers, including Francis Ford Coppola. And in some ways the GH2 was the ideal camera for journalists looking for a small, lightweight additional camera for stills and video, and as a low-cost, compact corporate video production tool. The GH2 was little over half the price of DSLRs such as Nikon’s D7000 or the Canon 7D, and cheaper than a high-end consumer camcorder. This praise came despute the camera’s obvious limitations: AVCHD recording, no headphone jack, a 2.5 not 3.5mm mic input, very limited battery life – and few real alternative powering options – and a still fairly limited choice of lenses. Nor, for creative film making, did the GH2 deliver the full-frame look of, say, the Canon 5D MkII. 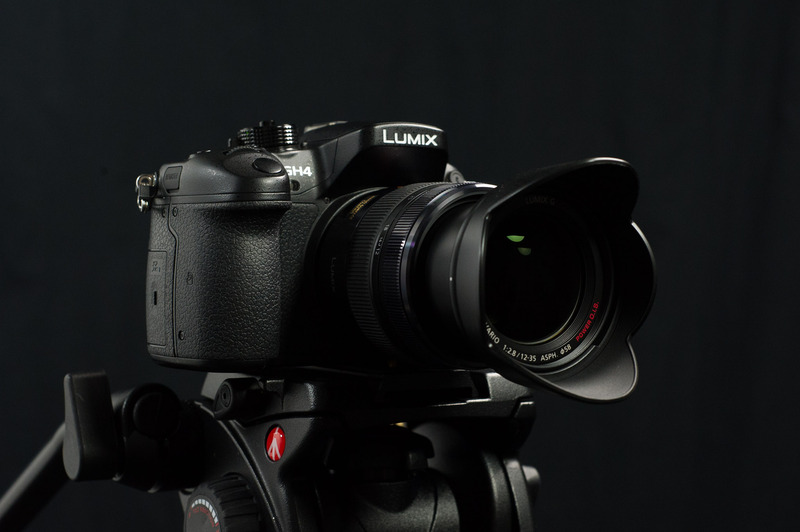 Panasonic’s GH3, then, set out to address most of these limitations, and produce a camera aimed more squarely at pro photographers and video makers. The result is a camera that is larger, more capable, but also significantly more expensive. At its heart, the GH3 is based around a 16-megapixel MOS sensor, the same resolution as the GH2, but with, the company claims, better clarity and a newer image processor. The electronic viewfinder is OLED, not LCD, as is the rear screen. The irritating 2.5mm mic jack has been replaced by a 3.5mm type, and Panasonic has added a headphone jack too. The body is now magnesium alloy, and it is weather-sealed; Panasonic’s f2.8 zoom lenses (12-35mm and 35-100mm) are also sealed. The camera’s styling is distinctly more “pro” with more matte finishes and rubberised surfaces, and it feels much more substantial than its predecessor. There is also an optional battery grip, and the button layout is probably more logical. But some moves, such as switching the video recording button from the top to the rear, might not please all users. Operating the camera, as on the GH2, uses a mix of buttons and the touch-sensitive rear screen. Internally, Panasonic has updated the camera’s video codec, so although there is still the option to record in AVCHD, it now supports h.264 recording in Quicktime (.mov) at up to 50Mbps in IBP and 72Mbps in All-I formats, potentially making footage from the unhacked camera suitable for broadcast. Note, though, that although the GH3 will film at up to 50 or 60 fps, it is not a world camera. PAL users can record at 25 and 50fps, and NTSC models run up to 60fps, although the GH3 supports 24fps in both models. The camera’s sensitivity runs from ISO200-12800, or 125-25600 with extended options. Features such as audio levels carry over from the GH2, and the GH3 also adds timecode, remote control via WiFi, and clean HDMI out. But the penalty comes in the form of a camera that costs £1199 body only or £1799 with the f2.8 12-35mm. This is more than twice the price of the entry-level GH2 kit.